At flipkart.com you can purchase Philips Avent Natural - 125 ml(White) for only Rs. 765, which is 23% less than the cost in Ebay (Rs. 999). 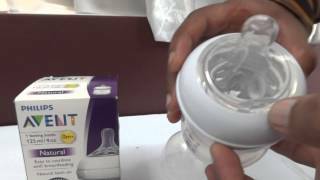 The lowest price of Philips AVENT Natural Feeding Bottle -125ml/4oz was obtained on April 24, 2019 12:39 am.